I must say I am a bit honoured as I was nominated for the Unique Blogger Award by the lovely and ever so beautiful Ingrid from the blog IngridMadisonAve which you can find here. Now what is this Unique Blogger Award I hear you ask? Read on to find out! What is the Unique Blogger Award? I’ll tell it to you straight… I am not invited to some ceremony where I get 45 seconds to say thank you to the people I love and admire (45 seconds would be way too short anyway!) and I haven’t won an enormous amount of money (now that is a bit of a bummer of course…). No, this Unique Blogger Award is actually a virtual award given by one blogger to another to show recognition and that is exactly why I find this Unique Blogger Award so important. It actually means that my blog is appreciated by a fellow blogger 🙂 So Ingrid, thank you for nominating me… I really and truly cherish this award! Who nominated me for this Award? Ingrid Levin from the blog IngridMadisonAve nominated me. Ingrid is a former model living in New York. Now you do have to take a look at Ingrid’s blog as she’s set to empower, inspire and enlighten her followers to live their happiest life ever. She gives so many tips on beauty, travel and how to have a healthier and happier life. As a former model she’ll certainly know the drill! Ingrid has asked me some questions I’ll have to answer… I’ll do so below! Share the link of the blogger who nominated me. Nominate 8-13 other bloggers for the same award. Ask 3 questions to these bloggers. What’s your favourite city, or country and where do you live now? I have to say my favourite city definitely is Paris. I have visited the City of Lights many times and I just can’t get enough of it! Recently I have visited Paris in winter. This was a first to me and I must say that I was enchanted by the Christmas decorations all over the city. 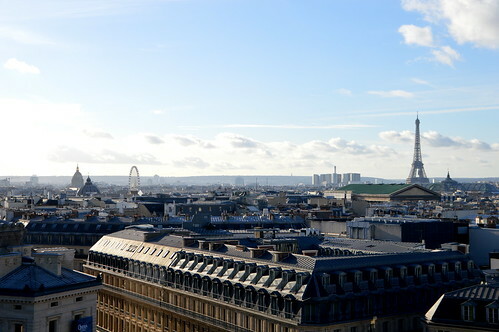 Paris really lived up to it’s nickname ‘the city of lights’ as you could see in this post! Recently I have started this new column on my blog ‘exploring my neighbourhood‘ in which you can read posts about must-visit places in Beveren and surrounding cities and villages. 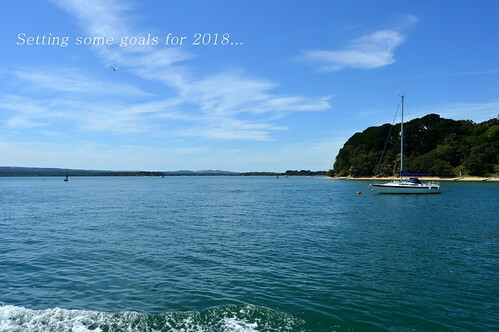 What are some of your 2018 goals? Since 2018 has just begun, I can’t tell you much about my progress to reach these goals. I will however do an update every two months to keep you informed (and to keep me on my toes actually!!). Which bloggers do I nominate for the Unique Blogger Award? The funny Niall from English Language Thoughts, a blog about the English language (and other languages). If you could drop everything right now… where would you be going and why? Can you really be in both ‘team coffee’ and ‘team tea’ or is that not done?? Which team do you belong?? Or are you, as me, member of both teams?! Have you ever been nominated for some blogger award? Let me know in the comments! Here you can read about another award I got! This entry was posted in blogging, Lifestyle, Personal and tagged unique blogger award. Thank you so much for nominating me! Also, my best friend lives in Belgium! I was lucky enough to be able to visit her once in Hemiksem – I look forward to visiting the country again! Paris is a gem… today there’s another Paris post on my blog 🙂 On the Australia posts you’ll have to wait just a bit longer… planning to travel to the Great Southern Land when I’m 50… 46 now… 😀 Thanks for your comment! congratulations! Enjoy reading these posts as getting to know everyone a bit more. I am jealous you are 3.5 hours from Paris. Living in Canada I can’t even get out of the country in 3.5 hours! Although there are beautiful places to visit within that time frame. Great goals for 2018. Congratulations, and thanks for the nomination 😊.